The Minister for Industry, the Hon Ian Mcfarlane MP, has announced the appointment of a five-member Vocational Education and Training Advisory Board. The Board will work with the VET Reform Taskforce, providing feedback on the Government’s reform activities and helping to advance national reform priorities. Further information about the Board is in the Minister’s press release of 15 August 2014. National Skills Week was officially launched by the Minister for Industry, the Hon Ian Macfarlane MP, on 21 August in Brisbane (pictured above, left). Minister Macfarlane was joined by Queensland’s Minister for Education, Training and Employment, the Hon John-Paul Langbroek MP, and two Australian Apprenticeships Ambassadors, Rachel Dudok (pictured above, centre) and Russell Routledge (pictured above, right). Each year National Skills Week aims to create awareness of the benefits of a vocational education and training (VET) pathway to individuals, and the benefits to business of providing nationally recognised qualifications to employees. “National Skills Week is the perfect vehicle to showcase opportunities in the training sector and demonstrate how skills are crucial to the nation’s prosperity,” Minister Macfarlane said at the launch. This year’s event saw a large number of local, state and national events across Australia – from as far and as wide as Nhulunbuy to Ulladulla and from Sydney across to Perth. There was strong involvement from Australian Apprenticeships Ambassadors and Australian Training Awards winners, runners up and finalists who shared their positive experiences with VET and Australian Apprenticeships at many events held across Australia. At the New South Wales launch of National Skills Week, Markeeta Douglas, the 2013 Aboriginal and Torres Strait Islander Student of the Year, received huge applause when she shared her experiences and how her qualification in audiometry is making a difference in her community. For more information, visit the National Skills Week website. To read Minister Macfarlane’s media release from the official launch event, visit his media page. To keep up-to-date with the Australian Apprenticeships Ambassadors programme and the Australian Training Awards’ involvement in activities like National Skills Week, like Australian Apprenticeships Ambassadors on Facebook and follow @AusApprentice and @AusTrainAwards on Twitter. With confirmation of the commencement of the Unique Student Identifier (USI) initiative on 1 January 2015, the USI team is continuing to work with stakeholders on preparations for the implementation of the scheme. The USI team has been in contact with registered training organisations (RTOs) to provide information about steps they can take to prepare for the commencement of the USI. Discussions have also taken place with student management system developers. RTOs are encouraged to talk to their student management system developers to ensure the USI can be included in enrolment and student management processes. What do Australians know about VET pathways? In June 2014, WorldSkills Australia undertook a quantitative survey focused on better understanding the knowledge and perceptions of the vocational education and training (VET) sector. The results showed a significant lack of understanding of the sector, with one in four Australians admitting to not knowing what is meant by the term ‘vocational education and training’. The research also showed that many Australians are unaware of the education and training options available to them – more than a third (38 per cent) were unaware that jewellery is offered as a VET qualification, one quarter didn’t know bricklaying qualifications were offered and one in five weren’t aware plumbing was offered. Many Australians believe a trade-based career is aspirational (76 per cent) yet more than two thirds have never considered following a trade-based pathway, suggesting a perception problem or a lack of understanding about what the sector can offer. Overall, the study suggests that more should be done to educate people as to the options available to young Australians as they prepare to enter the workforce. Additionally, the sector needs to better communicate its contribution to the Australian economy, while continuing to encourage investment in, and recruitment to, our vocational workforce. Further information about the survey and its results is available on WorldSkills Australia’s website. APEC 2014 photo contest – now open! The annual Asia-Pacific Economic Cooperation (APEC) photo contest is now open! The contest is based on the question "How doyou see trade in your life?" Connecting the region through infrastructure development and institutional linkages. Winners will be announced during APEC Economic Leaders’ Week in November, with cash prizes available to the overall winner (selected by an international panel of judges) and the winner of the Popular Choice Award, to be determined through a Facebook voting process. Further information is available on the contest's website, where you can also view the winning photographs of previous years. Submissions close on 19 September 2014. The Department of Industry has contracted the Australian Council for Educational Research (ACER) to develop an online Foundation Skills Assessment Tool (FSAT) to identify and assess an individual's foundation skill levels. The tool will be available free to assist learners, job seekers, trainers, educators and employment services practitioners to assess their own or a client’s foundation skill levels, and help identify any gaps in skills and knowledge. The FSAT will be based around the theoretical underpinnings of the Australian Core Skills Framework and the Core Skills for Work Developmental Framework. ACER is interested in hearing from interested LLN, VET and employment services providers to participate in trials in order to gain evidence about the performance of the tool and provide feedback about the assessment system being developed. Further information about the FSAT and trials is available on ACER's website. Each year, AgriFood Skills Australia develops its Environmental Scan – the ‘early warning system’ for Australia’s vocational education and training system and governments on industry’s skill and workforce development needs. Based on real-time views and evidence from across the country, it sets out the factors impacting on the shape and capability of the agrifood workforce and how well the VET system, its products and services are responding and, importantly, what needs to happen. The single most important factor in determining the agrifood industry’s future will be its education and skills base and how well we use new knowledge and innovation to build a highly productive, dynamic and adaptive workforce. Many see the next few years as transformative. Grass roots insights and immediacy of industry intelligence are what sets the Environmental Scan apart from other reports in the VET system. For this reason, the Scan is not about recycling already published statistics or economic analyses found elsewhere, which by their very nature are historical. Rather, it’s about your views and conversations with industry, those doing the jobs, employing the workforce and providing support services to industry – all of whom experience firsthand the issues needing to be written about and to which the VET system needs to respond. For more information, to register to participate in the consultations, or to provide your views, visit AgriFood’s website. The job roles statements developed through these projects will be used to inform qualification design during transition to the Standards for Training Packages. If you would like to be involved in consultation on job roles in the identified sectors, please email your details to AgriFood. Don’t forget to advise of which project or projects you would like to be involved in! CS&HISC’s next major public consultation period will close on 12 September 2014. To make the processes of providing feedback easier, CS&HISC has developed a Public Consultation web portal, allowing stakeholders to easily save, review and submit comments on all draft components. It is recommended that you download the consultation paper/s relevant to your sector/s before submitting feedback. The papers are available on the web portal. Visit CS&HISC’s Training Packages page for further information about consultations that are currently open. The Qualifications Under Review page lists those sectors undertaking training package reviews and consultations. CS&HISC has amended its Continuous Improvement Plan to reflect work completed in the past year, project updates and changes to the Community Services and Health training packages. It also includes timelines for the remainder of the review to December 2015. Further information is available on CS&HISC's website. After issuing a bulletin in early July, CS&HISC would like to again alert stakeholders to the planned removal of the Advanced Diplomas of Homeopathy, Naturopathy, Nutritional Medicine and Western Herbal Medicine from the Health training package in December 2015. Stakeholders made submissions during two rounds of consultation. For further information and to view the collaborative submission from associations and registers supporting the proposed changes visit the Complementary and Alternative Health qualifications webpage. Further information is available on CS&HISC’s Complementary and Alternative Health page. Join the communities today to keep in touch with good practice in VET! The IBSA VET capability communities were launched in February 2014 as part of IBSA’s online VET Community site. Since the launch hundreds have joined the community and have registered thousands of views. The online communities provide practical content, blogs and discussions relevant to VET practitioners (teachers / trainers / assessors and managers). The aim is to create a professional, informed environment that supports quality practice and elevates the status of VET professionals and RTOs. Join the communities to post questions, read and post blogs, download the library resources and be kept updated on what’s happening in the communities. The communities are set up around the four domains of the IBSA VET Capability Framework, which is shown in the graphic above. Got a question or issue? Post it in the discussion forum! Join the communities and post your question in the discussion forum set up in each community. Training and assessment specialists are monitoring the posts, and experts in the community are available to help with answering your questions. Service Skills Australia (SSA) is undertaking continuous improvement of the Fitness and Community Recreation and Sport and Outdoor Recreation training package components. The proposed scope for draft two of the Fitness and Community Recreation training package components has been approved and is expected to be ready for validation in September. SSA will contact all stakeholders via email when draft two is open for feedback on SSA’s website. The Sport and Outdoor Recreation training package components review is underway. Scoping for both projects is expected to take some time and the initial drafting is not likely to take place until the end of 2014. The Sector Reference Group (SRG) members for both projects will contact their networks over the next couple of months to get their input. A list of SRG members for all projects is now available. For further information please email Catherine Baker or Elly Snyder. SSA is conducting a review of the Hairdressing training package under its continuous improvement plan. The continuous improvement of this training package provides the opportunity for the hairdressing industry, employers and employees and registered training organisations to provide input on current and future industry skills and knowledge requirements. A number of industry forums will be held around the country. Venue and other details will be provided on confirmation of attendance. Please visit SSA's website for further information on the survey, forum dates and registration. SSA is approaching the validation stage of the review process, which will see beauty qualifications, units of competency and associated assessment requirements available for comment. During validation training package components will be made available via SSA’s feedback register. Notification will be provided via SSA's website and e-blasts. Registration for the RII assessment requirements review consultation workshops is now open. As part of the public consultation phase of the review, these workshops will be conducted throughout September 2014. For more information on the review process please refer to SkillsDMC’s RII Assessment Requirements Review page. The workshops are a forum for stakeholders to discuss recommendations from the first phase of the review, which have been developed based on written submissions and industry input received. Recommendations will be published on the RII Assessment Requirements Review page before the workshops begin as part of the written submission summary report. Individuals who register for a workshop will have the report emailed to them at least one week prior to the date of their registered workshop. For information on workshop locations and to register please visit the Events page of SkillsDMC’s website. Starting your apprenticeship whilst still at school is a fantastic way of getting a head-start in your chosen career. With an Australian School-based Apprenticeship, you can undertake secondary school studies and apprenticeship studies and placements simultaneously – earning AND learning! The two newest Australian Apprenticeships Ambassadors are both excelling in their careers after completing Australian School-based Apprenticeships. Read their stories below and feel inspired! Feeling unsatisfied with her secondary school learning, Maddison was thrilled to accept an Australian School-based Apprenticeship whilst in Year 11. She has since gone on to be named the ACT’s 2013 School-based Apprentice of the Year and was a finalist in the same category at the 2013 Australian Training Awards. Read more about the confidence and experience Maddison has gained since she signed up for her Australian School-based Apprenticeship. 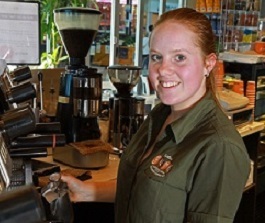 Since completing her Australian School-based Apprenticeship, Jessica has not only won several awards but has also established her own business! 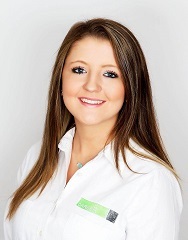 Read more about how Jessica is applying her own skills and enthusiasm to helping others through providing career planning assistance to students and working with employers to engage with their future workforce. This is a periodic section of our newsletter where we will feature Australians who have achieved personal and or career success as a direct result of their studies in the vocational education and training sector. Growing up watching his father and grandfather pursue their trades, Mark has always enjoyed working with his hands. After a short stint in the horticulture industry, he sought a building apprenticeship when he was 17. He worked hard and was a registered builder by age 26, winning a number of awards along the way, including Master Builders Association of Victoria (MBAV) Apprentice of the Year (pictured, top) and Best Overall Apprentice in Carpentry, Gordon Institute of TAFE’s Outstanding Apprentice in Carpentry and Geelong Regional Apprentice of the Year. Now running his own successful construction company, Mark continues to win awards for his work, including ‘Best Renovation/Addition’ awards at the MBAV Regional Building Awards in 2010 and 2012 (pictured, bottom). We asked Mark how he got started and then worked his way up through the building industry, what he would do differently now and what he would like to do next. My father was a plumber, my grandfather a painter. Ever since I was four years old, I had pieces of timber in the backyard that I used to hammer nails into. When I was 16 I wanted to get a job working with my hands outside and started doing work experience as a landscape gardener, but I was warned that ‘there’s not a lot of money in it’, and ‘people tend to do it themselves.’ By the time I was 17 I had completed year 11 and wanted to leave school, but my father said that I couldn’t leave unless I had an apprenticeship. If I couldn’t get one then he’d offer me one as a plumber. That motivated me. It was 1994 and we were in the midst of a recession. I rang just about every builder in the Yellow Pages looking for work, to no avail. About six weeks later I rang them all again, but still there was nothing. A builder that I hadn’t called heard about my efforts through one of his peers and offered me an apprenticeship. I knew it would be tough, but even then it was a fair bit tougher than I thought. The building industry offers a fantastic lifestyle but it is demanding - it rewards hard work, and penalises laziness. It is what you make of it. Tell us about some of the challenges you faced along the way. What, if anything, would you have done differently? The hardest part has been my age. I have always just pushed hard and worried about the consequences later… this has been both good and bad. Getting registered as a builder at the age of 26 was very hard (and good!). However, I was a bit too green. I knew everything there was to know about a building site, the construction process and the quality of my work, but I wasn’t very good at bookwork or dealing with clients. If I had my time again I would still get registered at 26, but would also incorporate a business management course of some sort into my training. What are the highlights of your journey from apprentice to award-winning builder? All of the awards I won during my apprenticeship are a definite highlight. I worked for a very old school boss who didn’t really offer much praise for good work, so it was very satisfying to get recognition of my achievements. My two Master Builders awards are great, too! They were great projects for fantastic clients. There are currently three arms to our business: renovations and extensions (20 per cent of our work), custom new homes (20 per cent), and our range of floor plans (60 per cent). We are in a growth phase, signing up new projects almost monthly, and a new employee has just started. We have just received planning approval for our very first display home, which is due to open in April 2015. Ideally I would still like to be a registered builder, building between 25-30 homes a year. However, the building industry had changed massively in recent years with the amount of administration/red tape that you have to go through. Hopefully this will level off or be trimmed back in the coming years. The industry is also starting to swing away from the ‘biggest house for the cheapest price’ concept. You really do get what you pay for and a lot of people are happy to get a smaller home, and pay extra to get a product and service. Hopefully this continues. 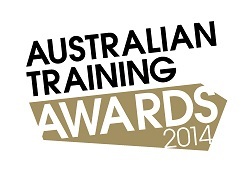 State and territory training awards season is commencing! It’s training awards season! Each year, the eight state and territory governments host training awards programmes to recognise and celebrate excellence in their jurisdiction’s vocational education and training sector. The culminating event of the season, the Australian Training Awards, recognises excellence at the national level by bringing together a combination of state and territory winners and direct entry award nominations to compete for a national title. The dates for these awards are as follows. Further information on each is available through the links. Applications for all these awards are now closed. The winners of all awards will be posted on the above websites following the ceremonies. It’s that time again! The SkillsDMC 2014 annual conference will be held on 11 September in Brisbane. The theme for this year’s conference, Quality Outcomes through Skilling Partnerships, highlights the critical characteristic of skilling the workforce where industry determines the skills requirements and suppliers deliver quality training outcomes, to meet the needs of a zero harm and productive environment. Liz Watts - Operations Manager, Glencore. the value of a global workforce with transferable skills which meet the needs of industry worldwide, and the challenges and opportunities these workforces present. The 10th SkillsDMC annual conference is a unique and valuable opportunity which will showcase how collaboration between industry, service providers and governments continues to shape future workforce planning and development initiatives. Michael Pascoe will be the Master of Ceremonies. Registrations close on 5 September. For more information and to register please visit the conference website. Velg has a line-up of amazing speakers for its 2014 national VET conference including a highlight on day one of the programme, a keynote address by the Minister for Industry, the Hon Ian Macfarlane MP. This address is one of the most anticipated sessions and is one not to be missed! The Minister’s profile, and the full conference programme, is available on the conference's website. representatives from 10 of the 11 Industry Skills Councils. The VETnetwork Australia 2014 biennial national conference provides an opportunity for VET practitioners from senior secondary schools and colleges, career and enterprise educators, training organisations, university academics, researchers, policy developers, consultants and industry to network, learn, interact and engage. This conference will attract over 300 delegates from around Australia. Don’t miss your opportunity to attend this amazing event! For full programme details and information on the dynamic keynote and workshop presenters from Australia and abroad, please visit the conference's website. Who are our next national champions? The nation’s largest and most prestigious skill and trade showcase is returning to Perth for the first time since 1989! The 2014 WorldSkills Australia National Competition will be held at Perth’s Convention and Exhibition Centre in September. With over 17 000 square metres of competition and exhibition space, there will be plenty of exciting and interactive activities in which to take part. The three day event will showcase the skills of 500 of Australia’s best trainees, apprentices and students competing for the prestigious title of ‘Nation’s Best’ in over 50 skill and trade areas ranging from the traditional trades such as plumbing, bricklaying and hairdressing to the more contemporary professions of web design and fashion technology. The National Competition will also feature 30 interactive Try’aSkill programmes, where visitors can try their hand at various skill and trade areas including hairdressing, carpentry, bricklaying and more. In the spirit of providing a holistic experience for audiences, WorldSkills Australia has invited Skills West Expo to be part of the National Competition. You can register your attendance for the 2014 WorldSkills Australia National Competition online. 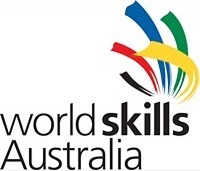 Further information is available on WorldSkills Australia's website. 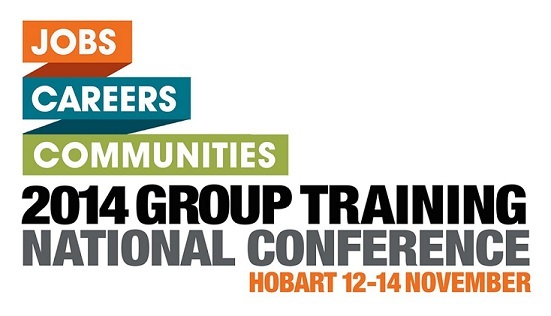 This year’s Group Training Australia national conference will celebrate the successes recognised through group training’s contribution to the delivery of jobs, the starting of careers and the building of communities. With this in mind, the theme of Jobs, Careers and Communities will recognise this success while also considering current and future challenges. Kevin Sheedy, former AFL coach. Registration is now open, with an early bird rate available until 3 September. Ideas That Work has just released another nine new language, literacy and numeracy (LLN) videos for the What Works for LLN training and professional development video library. These new videos contain practical LLN tips and good practice examples to help build vocational trainers’ and assessors’ capacity to support learners with LLN needs. If you would like to provide feedback, supply an article for inclusion in the next edition or join our list of subscribers, please email skillsatwork@industry.gov.au. The next edition will be published in October 2014. Submissions are due by 18 September 2014.